This combo consists of 12 Red Roses Bouquet,1Kg Vanilla cake. Celebration Combo is the best gift you can give to your loved one on special occasions such as birthdays and anniversaries. 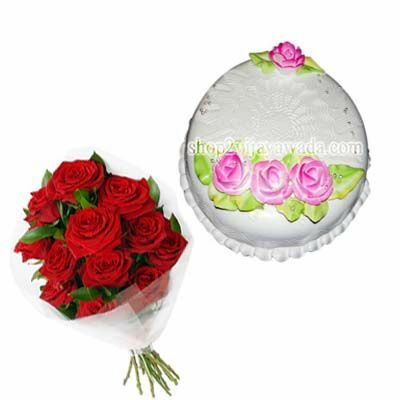 Send roses bouquet online and sweeten the special occasions and festivals. You can send flowers and cakes to celebrate success as well.